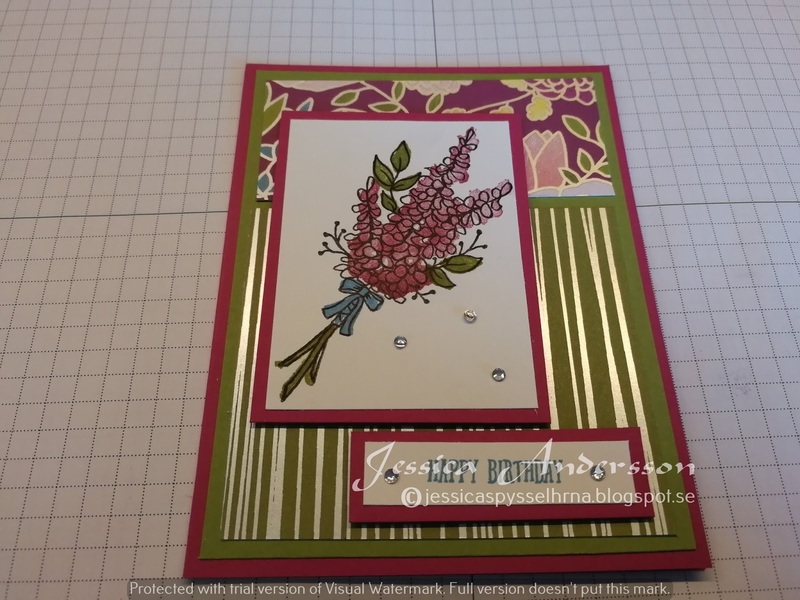 Today I am using a sketch to make my card. I seen som sketches in Pintrest and thought I try it out. And its something I will definitely try it again, was really fun. The sketch I am using has the measurements for the different parts. 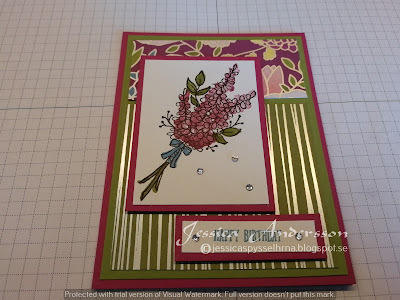 The base for my card is Berry Burst cardstock. I then have a layer of Old Olive cardstock. I then have two pieces of designer series paper (DSP) from the Sweet Soirée specialty DSP. 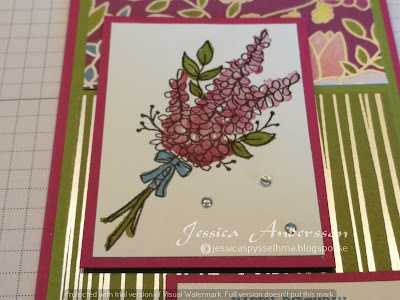 I then have a Berry Burst layer and on that I have white cardstock. On the white cardstock I have stamped the flower image from the stamp set called Lots of Lavender in black ink. It is a two-step stamping stamp set and the flowers are stamped with Berry Burst and the leaves with Old Olive ink. The bow is stamped with Marina Mist ink. The sentiment is from Bird Banter stamp set. 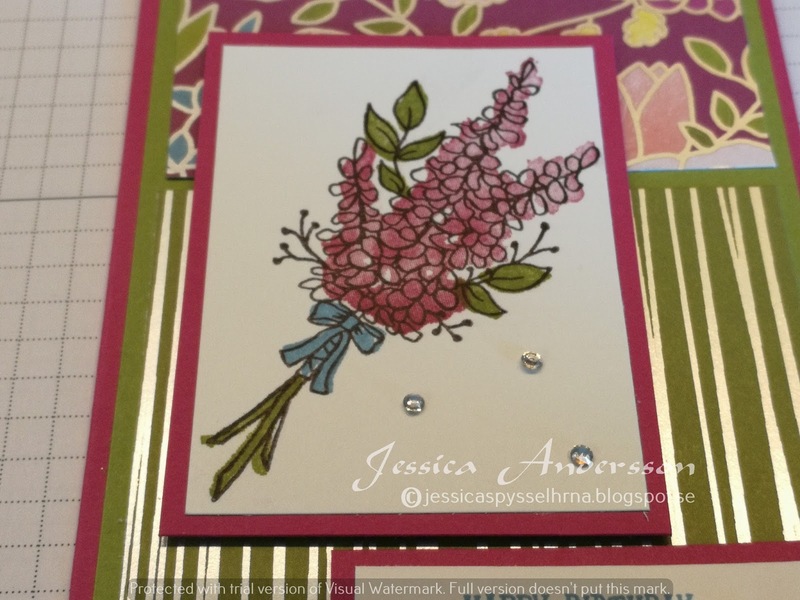 I then added som rhinestones to decorate the card.